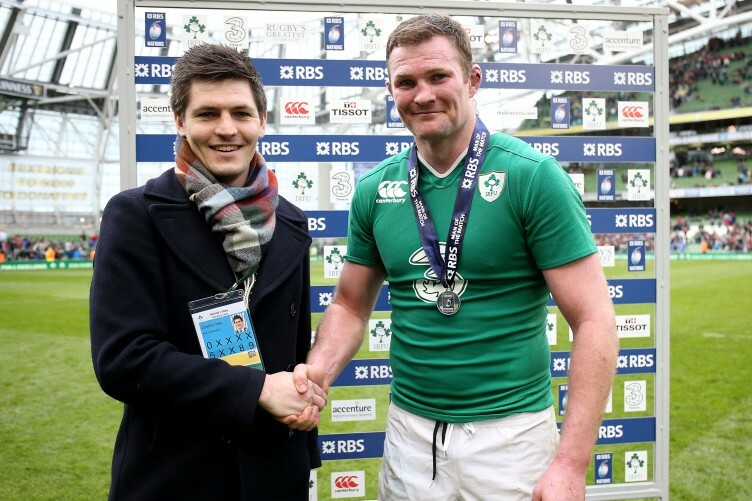 In case you missed it, the IRFU have decided not to renew the contract of star second row Donnacha Ryan – supposedly reasoning that the Tipperary man wouldn’t offer them value for money because of his age and injury profile. But playing the rugby of his career, injury free for over a year and showing no signs of slowing down, there is no justifying showing such an imperative figure the door at this time. Unless, of course, the IRFU simply don’t rate him when fit as highly as their other 14 big-buck centrally contracted players. I’m sure when Tommy Bowe was first offered a central contact he was his world-class, British & Irish Lions level old self but for the past three years the Ulster legend has hardly played for Ireland due to a sequence of pace-reducing injuries. Another Lion feeling his age. Kearney has been one of Ireland’s scapegoats for seasons now – heavily criticized for his lack of imagination and poor defence. Shouldn’t be an Irish starter at this stage of his career. Hampered with injuries and generally average when on the field, but Cian Healy is still collecting serious wages for his services. Once Ireland’s highest-paid player, Healy will hope to be more than a benchwarmer for club and country going forward. Not assured of his place in the Irish backrow but offered a new three-year contract last month despite being the same age as Ryan. In our opinion, Heaslip isn’t the best number eight in Ireland, while Ryan is easily Ireland’s finest second row. Go figure. Lineout operation is the number one reason why he has started so frequently under Joe Schmidt but as soon as that particular area of the Irish game crumbled, he was dropped. Ryan and O’Mahony marshalled the set-piece superbly without him but he will inevitably slot back into Donnacha’s slot next season following today’s news. Doesn’t quite have the pace that he once had but Trimble is a defensive rock when he’s out there fit and firing. Trouble is, he’s not fit all that often. O’Brien has the capacity to be Ireland’s best player when his body is right. Despite getting a fine run through the Six Nations however, the Tullow Tank never really got motoring. Could be a sign of things to come. The same age as Kearney but you would imagine his Leinster rival would be the preferred option for Joe Schmidt as long as he’s available. And with Ringrose being the future of the Irish 13 shirt, it’s probably for the best to keep him in situ also. Therefore is Payne really good value for a central contract? Earls has started for Ireland everytime he’s been available to Joe Schmidt in the Six Nations. The Munster winger’s injuries are seemingly behind him having settled into his position on the flank and was one of few in the backline to provide spark in this year’s Six Nations. Ryan is playing the best rugby of his career this season, becoming both Munster’s, and Ireland’s key man in the process. The 33 year old has been hence tipped to tour with the Lions having proven the worth of having an out-and-out aggressive workhorse in the second row. He’s comfortable in the Irish starting team now and it would have taken a fair bit of a dip to change that. Tipped to be the next Ireland captain and a world class operator if fit but O’Mahony’s injury issues prevent him from finishing top of the pile here. Performance has been questioned here and there as of late but as the captain of the national team, a man that puts his body on the line and as somebody who is simply ever-present, you simply cannot question the value for money that Ireland get for Rory Best. One of few assured of their place in the team and at his age, that speaks volumes. He’s going to be an important player for years to come but can already mix it with the very best on the international stage. A superstar of the Irish team and probably the side’s best player. The problem for Sexton unfortunately has been constant injury troubles which sees him lose out on top spot. Ever present and forever world-class. Conor Murray is Ireland’s most important player and whatever the IRFU are paying the Limerick man, it’s probably too little. Pure Munster favouritism here. Completely biased article. You could at least TRY hide the bias? Aren’t Zebo and McGrath on central contracts?